Over 25 years ago, Hayden Allen provided his grandfather's photo album to Walter Gosden to help document the history of their home town of Floral Park. 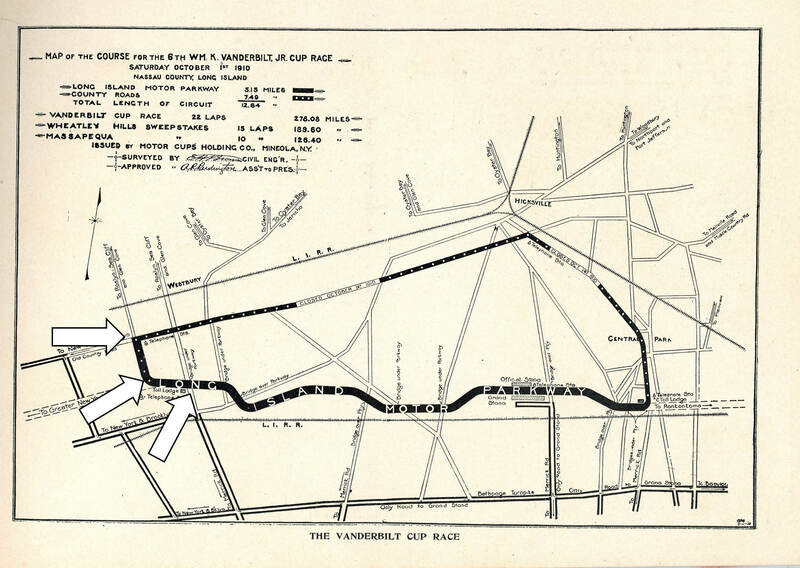 The album also included 16 photos taken by Mr. Allen's grandfather of the 1910 Vanderbilt Cup Race. Walter Gosden, who is now the Village Historian for Floral Park, has given me permission to post these images on VanderbiltCupRaces.com.These images will be posted throughout the March. All 16 photos were taken within a 1/2 mile section of the 1910 course at three Westbury locations; the Westbury Turn at Old Country Road and Elliston Road, the newly-built temporary dirt road bewteen Elliston Road and the Long Island Motor Parkway, and the Motor Parkway bridge over Merrick Avenue. The first photo in this series shows driver Harry Grant and mechanician Frank Lee in the #18 Alco, my favorite car in the 1910 race, at the Westbury Turn. The car went on to win the Vanderbilt Cup Race for the second consecutive year. Note the large crowd watching at this corner, many who arrived by train at the nearby Westbury station. Pretty neat. BTW, Hayden is still alive in 2010 and is living contently in CT with his wife Lois.